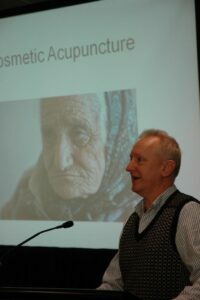 29-30 September 2012, 9:30am – 4:30pm presented by Heiko Lade at the New Zealand School of Acupuncture and TCM, 382c Manukau Rd Epsom Auckland. Heiko Lade will present a two day seminar on the 8 extra ordinary vessels. It will cover the history of the use and theoretical development of the vessels and discuss his experience of using the more modern applications with ion pumping cords. Heiko will be referring to his original college lecture notes as well as new references such as the recent Charlie Chase translation of Li Shi Zhen’s Exposition of the 8 extras. The location of the vessels and their points will be reviewed. Specific case histories from Heiko’s patients will be referred to when discussing each of the eight vessels. NZRA members attending the seminar are invited to send in their own 8 extra vessels case histories to Heiko before hand for discussion at the seminar. Specific questions that attendees may have on the 8 extras or their patient’s cases may be transmitted as well before hand. Some topics covered will include the relationship of the 8 extras in relation to qi gong, their clinical application with Jing issues, using the 8 extras in cosmetic acupuncture and musculo-skeletal disorders. Acupuncture and Chinese herbs specific to benefiting the Jing will be reviewed. From Heiko Lade’s experience medicines for the Jing that are not listed in Bensky’s material medica will also be discussed. To register please send emails via the contact form and include your full name. Receipts will be issued on the day of the seminar unless requested to post one out beforehand. Payments either by direct debit to 12 3057 0154522 00 , or a cheque made out to “The Acupuncture Clinic” sent to PO Box 938 Napier 4140. The cost for NZRA members is $200 including GST and includes morning and afternoon tea. Lunch will also be provided which will be sushi from Kingdom Sushi in Newmarket. The Sunday is also Mid- Autumn festival so I will endeavour to have some moon cakes for afternoon tea.